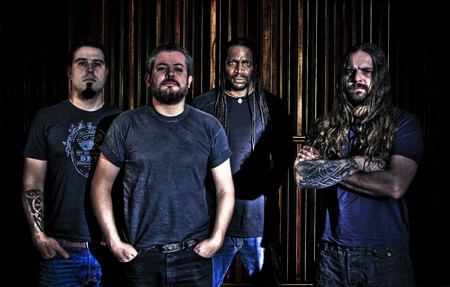 Brazil's SEPULTURA is a prime example of an intelligent thrash metal act whose powerful compositions continue to tackle exciting and ingenious subjects. 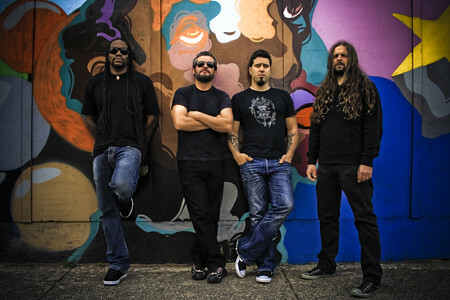 1996 saw the band devote its landmark release "Roots" to the fate of the Xavante Indians on the border of Brazil and Bolivia; in spring 2006 the musicians put to music an opus by the Italian poet and philosopher Dante Alighieri, on their album "Dante XXI". Now this concept has reached a new climax: on their latest release, "A-Lex", guitarist Andreas Kisser and his three colleagues, Derrick Green (vocals), Paulo Jr. (bass) and new addition Jean Dollabella (drums), have dedicated themselves to Anthony Burgess's book "A Clockwork Orange", creating an awesome thrash metal opus around this timeless and exciting subject. "A lot of people know Stanley Kubrick's film 'A Clockwork Orange', which is a movie classic, but few realize that the last chapter of the book is missing from the film. And that's what in my opinion is extremely important for the message that Anthony Burgess wanted to convey: it's your own free will, your own free choice, in which environment you choose to move," Kisser explains his interpretation of this historic publication. "Following his stay in hospital, Alex, the book's main character, returns to society, meets old friends, finds a wife and starts a family. He makes this choice of his own will, irrespective of what the government had in mind for him." The recording is divided into four chapters, the first three of which cover the familiar plot from the movie, while chapter four reflects the final part of the story from the book. 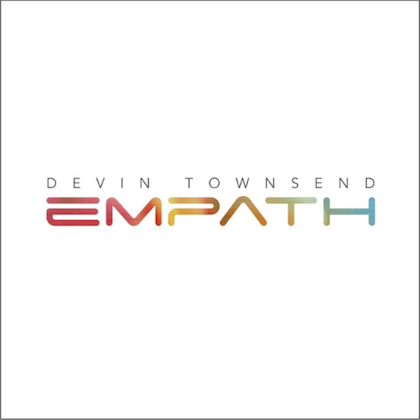 "Every chapter, from 'Alex I' to 'Alex IV', starts with a brief introduction which allows the listener to follow the story at all times," Kisser explains. 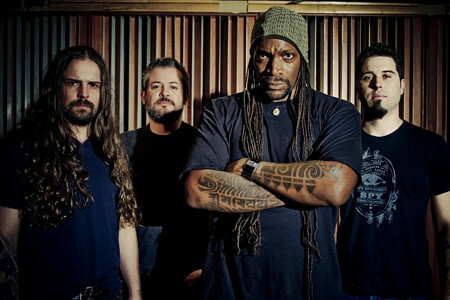 Along with SEPULTURA's familiar raw metal tunes, which are omnipresent on the one-hour recording, they have authentically translated Alex's affinity with Ludwig van Beethoven: supported by classical symphonic musicians from Sao Paulo, the track "Ludwig Van" picks up Beethoven's "9th Symphony" and transposes it into a heavy metal context. 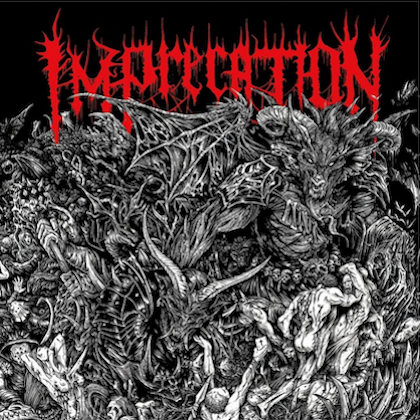 This number is a definite must, and it would be impossible to optimise this combination of classical music and savage thrash metal. 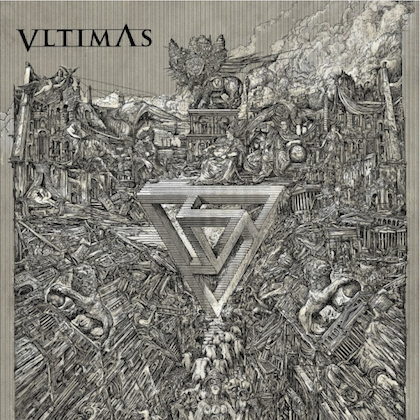 The material was produced by SEPULTURA and Stanley Soares at the Trama Studios in Sao Paulo and mastered by George Marino at New York's Sterling Sound studios. 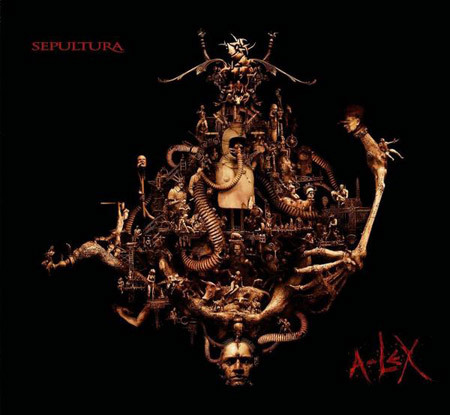 "A-Lex" is the first SEPULTURA album to feature new drummer Jean Dolabella, who joined the fold during the "Dante XXI" tour. "We've known Jean for more than three years, he's from [SEPULTURA's original] hometown of Belo Horizonte and joined us when Roy Mayorga left to team up with STONE SOUR," Kisser introduces his new drummer. "He's ten years younger than the other band members and has brought a new approach into the band. Jean has an amazing amount of energy and motivation. We're very happy to have him with us, and we're proud of the positive impact he's had on the material on 'A-Lex'." "A-Lex" will be available in three versions: in a deluxe digipak with an embossed cover, in a regular jewel case and on a vinyl gatefold LP. Check out the "A-Lex" cover artwork below. Photos from an August 2008 "A-Lex" listening session, which was attended by members of the music media, can be found at this location. 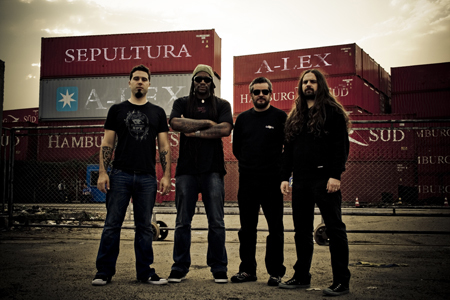 SEPULTURA was one of the featured musical guests at the ninth annual Latin Grammy Awards 2008 on November 13. They performed a cover of "Girl From Ipanema" and a new song called "We've Lost You" from their upcoming album "A-Lex". Watch the performance below.